When you buy a new iPhone, there are a few things you have to do— things like creating an Apple ID and installing iTunes among others. 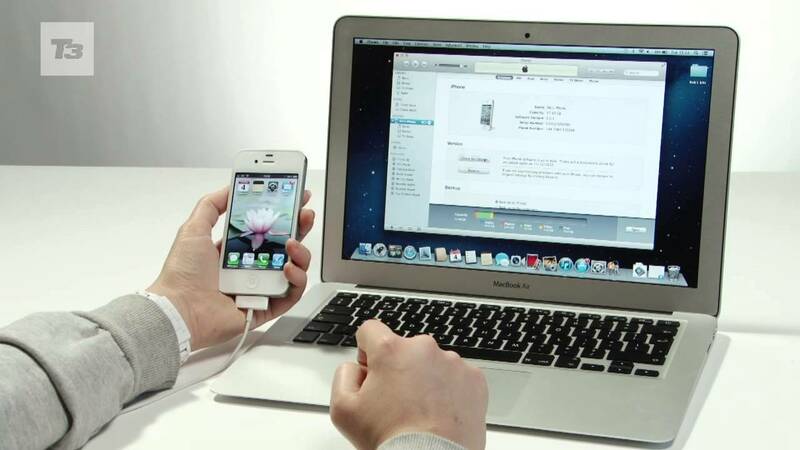 In doing all these, if you are someone who likes to share stuff between your phone and computer, there is a need to sync your iPhone to your computer. You can sync songs, playlists, albums, movies, TV shows, audiobooks, books, and podcasts between your computer and iPhone using iTunes. Aside sharing data, syncing is very good for backing up your device. Although Apple encourages users to use iCloud to back up their personal data, you may also want to back up your iPhone by syncing it to your computer. So we have put together this article to help you sync your iPhone to your computer. Plug the cable that came with the iPhone into a USB port on your computer and into the Lightning on the bottom of the iPhone. Click on the iPhone icon in the upper-left corner of the window to open the Summary screen. This screen offers a basic overview and option information about your iPhone. The information is presented in three sections: iPhone, Backups, and Options. Check for Update lets you make sure you have the latest version of the iOS. If not, you can update it. Restore iPhone lets you return your iPhone to factory settings. This erases all your personal data from the iPhone and is recommended before you sell or give away your phone. Restoring the iPhone is also an advanced troubleshooting option for solving problems with your phone. This section controls your backup preferences and lets you make and use backups. In the area titled Automatically Back Up, choose where your iPhone will back up its contents: iCloud or your computer. You can back up to both, but not at the same time. iCloud: Check this box to use iCloud to back up your most important data. This computer: Check this box to make a full backup of your data on your computer. Encrypt iPhone backup: This password protects the backups on your computer. This is optional but recommended if you share your computer. Back Up Now: This backs up your iPhone to your chosen location immediately. Restore Backup: Use this to replace what’s on your iPhone with a saved backup. The options section contains a list of available possibilities. The first three are important to most users. The others are used less frequently. Sync with this iPhone over Wi-Fi: When this is enabled and your iPhone is on the same Wi-Fi network as your computer, it syncs automatically—no more cables! Sync only checked songs and videos: Useful if your iTunes library is bigger than your iPhone’s capacity. Prefer standard definition videos: Designed to conserve storage space. This option ensures that, if you have both HD and standard definition versions of a video, the smaller, standard definition version is synced. Convert higher bit rate songs to 128 kbps AAC: Converts songs to the AAC format during syncing. This helps conserve space if your songs are encoded in other formats or at higher bit rates, which results in larger files. Manually manage music and videos: Disables automated syncing. Instead, allows you to manually add and remove all content on your iPhone. Not recommended unless you have a specific reason. Reset Warnings: If you have previously dismissed any alerts or warnings on your iPhone, you can see them again by clicking this button. Configure Accessibility: Turns on accessibility options for people with hearing or visual impairments. At the bottom of the Summary screen is a bar that displays your phone’s capacity and how much space each type of data takes up on your iPhone. Hover on a section of the bar to see additional information about each category. If you make changes to the Summary screen, click Apply at the bottom of the screen. Click Sync to update your iPhone based on the new settings.